I prefer not to lug around lots of makeup when I travel, so before my holiday to the Hamptons and Tulum this summer, I found this amazing all-in-one natural makeup palette by Pixi to use while on vacation. It has everything I need in one palette to create a natural no-make look for the face--eyeshadow, eyeliner, blush, bronzer, and highlighter. Below is a step by step "how-to" using Pixi's Book of Beauty to get the natural makeup look that's perfect to sport on any summer trip. I added a few of my favorite products to complete the look. Included is a foundation brush and cream base brush for the face, a shadow brush and crease brush for eyeshadow, a cat liner brush for applying eyeliner, a cheek brush for blush and bronzer, and a lip brush. These are all available at Target and well-priced! 1. Apply Book of Beauty Minimal Makeup bronzer. 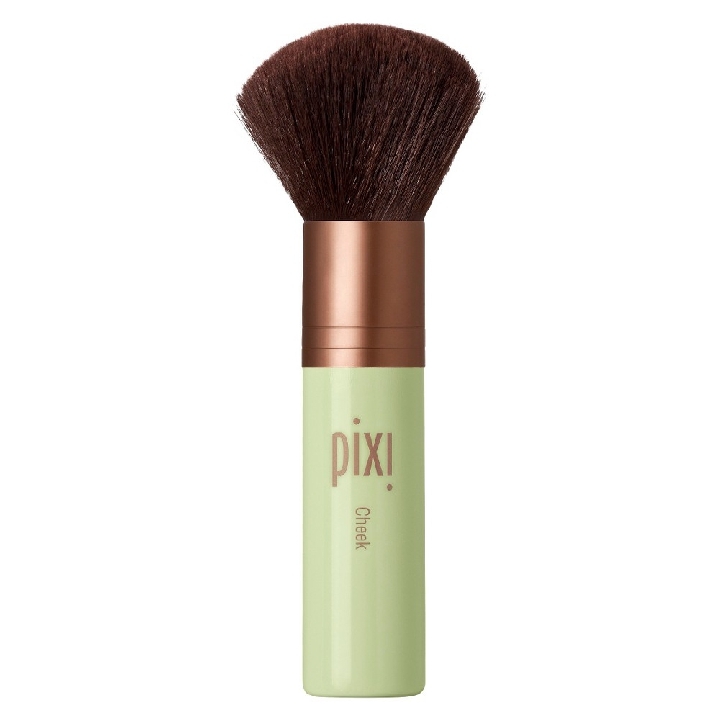 On a clean moisturized face, I like to prep first by applying bronzer with the fluffy Pixi cheek brush. It helps to add color to my face! 2. Apply Yves Saint Laurent Touche Eclat Le Teint Foundation. I swear by YSL's Touche Eclat Le Teint foundation. It's lightweight and contains Vitamin E and SPF 22. 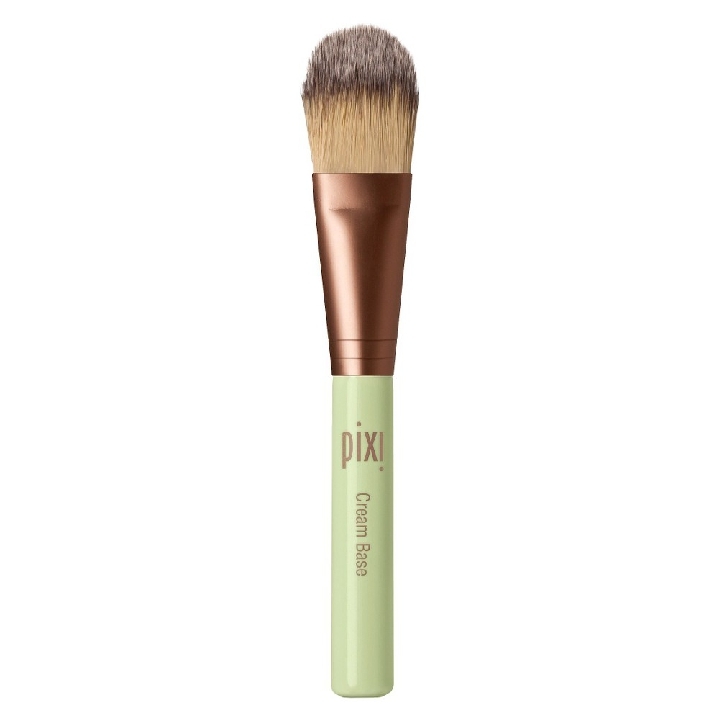 I like to use my hands to apply but if you don't like touching your face, use the Pixi foundation brush or cream base brush. Don't forget to blend your foundation into your neck! 3. Conceal dark circles under the eyes is with Amazing Cosmetics concealer. I learned about this must-have product backstage at fashion week when the makeup artists were using it on all the models. A tiny amount of the Amazing Cosmetics concealer goes a long way! 4. Contour face with Book of Beauty Minimal Makeup blush and bronzer! Take the blush color in the Book of Beauty Minimal Makeup palette and pat it on the apples of your cheeks. You can also contour with the bronzer by placing some under your cheek bones and on the sides of the bridge of your nose. 5. Apply eyeliner and shadows to eyes. Use the cat liner brush to line eyes with the darker matte brown eyeshadow from Minimal Makeup palette. Tap brush along the under rim of your eye covering it with color. I like using eyeshadows instead of liquid or gel liners when achieving a natural makeup look because it creates a softer line. 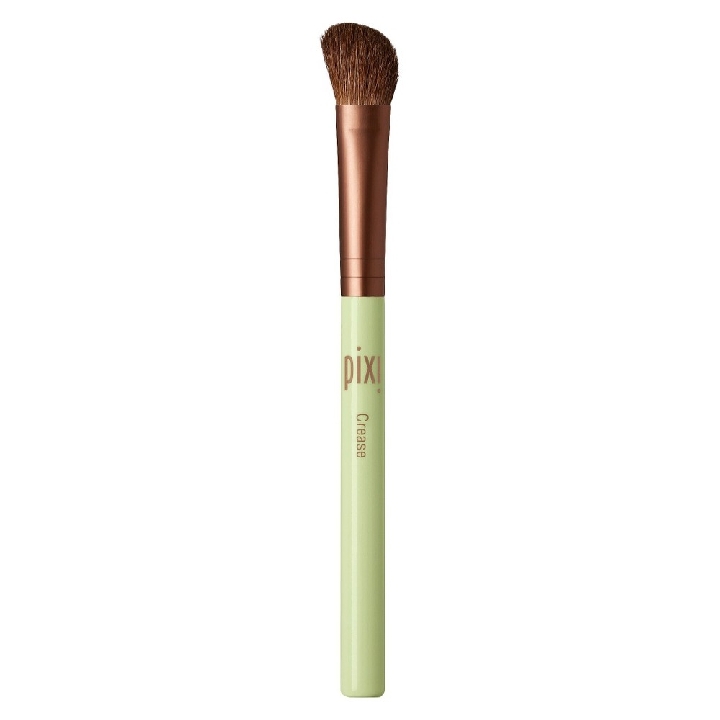 Use the shadow brush to apply the lighter base all over the eyelid. 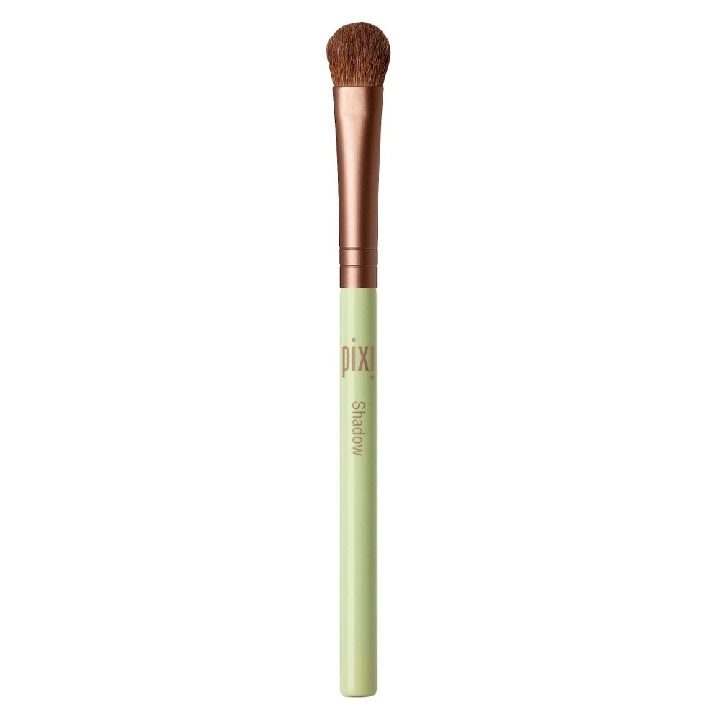 Then use the crease brush to apply the light brown shade for the crease. Add the lighter shimmery shade to your brow bone to add dimension to the eyes. You can play around with all the shades depending on your skin tone. I am a big fan of Dior's brow pencil for shaping my brows. The "Universal Brown" shade works with most skintones and hair colors. The tip is retractable so I never need a sharpener! Rimmel's mascara with lash accelerator is a great double duty product because you can grow thicker lashes when you use this mascara. It's my favorite for creating non-clumpy thick lashes. Apply Laura Mercier's lip pencil in Plumberry for the "my-lips-but-better shade" for lipliner. Complete the look with Laura Mercier's Lip Glace in Bare Pink or this Lune + Aster gloss. There you have it... a quick and easy natural makeup look using one great makeup palette and some favorite makeup staples. What are some of your favorite natural makeup finds? Please share!